Tired of chasing the next “big thing” in marketing? Maybe it’s time to get back to basics. It’s that time of year again. All the prognosticators are telling us what’s coming next. All the “10 Marketing Trends for 2015” posts. All the advice to make you nervous that you’re falling behind. But the truth is, the more things change, the more they stay the same. So, in the spirit of uncovering timeless strategies, we asked 32 of our all-time favorite marketers to share with us their best tips that never go out of style. OK, we included ourselves, but that’s just because we wanted to rub shoulders with these luminaries. Is your “evergreen” marketing tip in this list? If not, make sure you share it in the comments below. Want more great marketing advice delivered to your inbox for free? Listening well will never go out of style. People will always need to be heard and understood, and organizations will always need to understand what their customers want.ls like Google Alerts and Hootsuite to listen will not only never go out of style, it will always be an easy way to set yourself apart from the competition. Why? Because most brands don’t listen well. Make buying easy. No matter what you sell, make the buying (and consuming) experience as friction free as possible. How many steps does someone have to go through to buy from you? What could you eliminate to streamline the process? Similarly, what could you can add before or after the sale to enhance the experience? Make buying easy (and dare I say fun?) and your conversions will go up on the front end and you’ll experience more repeat sales on the backend. Make a list of 100 people in your target market you would like to connect with. Create 3 letters (intro yourself, ask about a big challenge, tell them about something they may be interested in and if you haven’t heard from them ask if they are the right person to talk to) that you will send to them over a 6 week period. Follow up with a phone call after the letters. Be obsessed with listening to your prospects and customers. What are their worries, fears, questions, concerns, and frustrations? Now, instead of shying away from those worries, fears, questions, concerns, and frustrations– embrace them. Talk about them. Own the conversation. That’s the essence of great content today, tomorrow, and in 50 dang years from now. Social reach and frequency are tangential to good marketing, as long as your content is relevant to your market. How many times does a potential customer or partner need to see your message before they convert? You might as well ask how many licks it takes to get to the center of a Tootsie Pop (remember that old TV commercial?). Personally, I think every college student graduating with a marketing degree, every graduating MBA student, and those in the marketing department of brands, agencies and anyone responsible for marketing and especially social media, should have to re-learn Marketing 101. From here on out, social is going to play a significant role in doing business—but that doesn’t mean we throw out the baby with the bathwater. Respond to your audience’s engagement with a simple question… ‘What are you struggling with?’ The wealth of information you will gather is priceless. Creating our 7-figure community was really that simple. We asked the question, listened to the answers of our audience, and provided them with the solution to their struggle. The result? Over 1600 members in Podcasters’ Paradise creating, growing, and monetizing their podcast! IGNITE! Solve a problem. Something that your customers struggle with daily. Solve it with style, make your customer’s life easier as a result of using it, and market it based off of the pre-built relationship you have with your prospective and existing customer base. Don’t over-think ‘selling’, if you do, you’ll fail. Just build the relationship and solve the problem – if you do, the ‘close’ will happen all by itself. My services range from $200 to $20,000 and in all cases, keeping promises is the one uber-simple strategy that never fails. Sending proposals, follow-up calls, even passing on a contact you mentioned all go on an invisible scale. Use only one reminder tool and keep the side for ‘promises kept’ full and you will enjoy raving fans and a loyal following. A marketing “tactic” that never goes out of style is focusing your copywriting around expanding on the most important benefits to the client, or about tackling and eliminating their most daunting objection. To do this – you actually have to (go figure) – truly understand your prospect. This can be done through surveys, calling customers and prospects directly, or other research methods (I recommend CALLING buyers and asking them questions straight up). The ninja tool I like best (and leverage best for clients) for converting marketing copy is email, and so I’m sharing video on writing email copy that drive sales by focusing on the most important benefits and objections first – I hope it’s helpful! Continue to add listings to local and national web directories that are either very credible, (Think Best of the Web.com) or are right smack dab in the middle of your business niche. Backlinks from relevant websites are still very important for the search engines. Obtain both free listings and paid listings. Your business website will benefit from the links, and your business will benefit from the increased exposure online. Marketers need to embrace SMS text message marketing. 90% of text messages are read within 3 minutes. 109.5 text messages on average are sent per day. Many customers today are more active on text than email or social. Business that learn ways to add text messaging to their business will be in great position to communicate with the mobile customer. Learn how to get started here. When creating a live broadcast or webinar, do your best to get live interaction integrated into the show even if others are mainly watching a recorded version. I use a tool called Comment Tracker to show live comments on the screen so they are captured in the recorded video. Live interactive shows help you build trust very efficiently & showing the viewer’s comments on the recorded video empowers them because they were part of the show. This also encourages your featured viewers to share the recording or event with others helping you grow your reach in the fastest and most authentic way possible. If you want to adhere to an online marketing strategy for your business that will stand the test of time, the key is to keep one goal in mind: customer acquisition. If you do everything with the assumption that your customers could see it all, then you won’t be tempted to buy cheap links on link farms, publish $5 articles, or automate your Facebook page with tweets. With customer acquisition in mind, you will only want to invest in high-quality content, social media engagement, and search optimization. Most marketers that end up failing fail because they do everything to drive the first sale and put no energy into the relationship post-sale. They work “the top of the funnel”. Then it stops. After the first sale, you should double down on delivering value which will lead to additional revenue from that same customer. In summary, a marketing tactic that will be relevant no matter if we’re in an age of direct response, social marketing, or some new form of marketing none of us know about yet is to think in terms of lifetime value of a customer and not just the amount they initially pay you. Personal connections will never go out of style and never have they been more important. 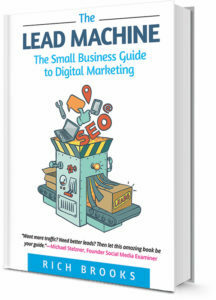 The best use of social media and email marketing is to develop systems that scale one’s chances of being able to make a personal connection with a desired customer. One thing that never goes out of fashion is providing value with your marketing. How can you entertain, educate or inspire your customers with the valuable content your create for them? Value breeds trust and trust breeds business. “So many marketers propose marriage as soon as they gather an email, where they need to warmup the lead. Let me explain. People buy from people that they relate to and trust, so why not send a series of emails that provide value while asking for a small action and then gradually asking for more and more engagement. One of the best emails I send to my audience is what is your biggest challenge. It is amazing how many people respond and clients that I gain. “If you’re a local business, make sure your N.A.P. (Name, Address & Phone Number) information is up to date and consistent on your website, your Google My Business Page, the top yellow pages/local directories and the top directories in your industry. This will help your business’ visibility on these sites and its local rankings in Google. You can check your NAP issues on some of the top sites with Yext and if you want to go deeper we’ve put together a Google Doc with all of the steps to do a comprehensive Local SEO Audit. Evergreen content is the ridiculously powerful gift that keeps on giving and should be an integral component in your content marketing mix. For example, we created this guide to the Google AdWords auction three years ago, to answer a common question: “What is Google AdWords?” WordStream invested $1,500 in its creation and it has paid off us back many times over, attracting over 8,000 visits per month and earning countless citations from high value sites, week after week to present day. The best evergreen content – the kind that will rank for super competitive terms and attract traffic for years – is useful, timeless, and offers a comprehensive solution or answer to a common issue among your target audience. I have always found that there is something special about sending a hand written note letting a customer know how much you appreciate them. If you can include something specific that makes you thankful that they are your customer it shows that you didn’t just crank out a robotic note but you genuinely care about them as a person as well as their business. It seems so old school but people stay where they are appreciated. Go back to the well for what works. If you’ve created a pin that’s gained a lot of repins in the past or has been known to drive traffic to your site, don’t be afraid to repin that same pin again a few weeks later. This way a whole new audience, that never had a chance to see the pin, has the chance to see it. solving their problems or issues. The more time and energy you invest in your customer, the more trust and ultimately money, they will be willing to invest in you. Become part of their team. Never forget that your biggest competition is indifference. Most of your prospective clients probably like their current provider just fine and therefore, it will take more than a slight improvement (in service, price, etc.) to justify the time it will cost them to make a change. When I think of evergreen marketing and advice that never goes out of style, I immediately draw upon what has worked in my “offline” brick and mortar businesses over the past 20 years. It all comes down to one thing – providing massive value to your clients. Strip away all the bells and whistles and “tools” and think about how you can help or inspire your clients. According to Forbes, it takes 5 x more effort to attract a new client than to keep an existing customer, and 80% of a company’s future revenue will come from just 20% of your existing customers. What does this mean? Love your customers, get to know their values, provide massive value and empower them to share. Word of mouth hasn’t changed…it’s just supercharged by the power of social media. A customer that loves you and wants to rave about you to his friends is worth more than any Twitter, Facebook or Google+ following. Think of your customers as being on your marketing team and it will change your perspective. One thing I learned when taking dance classes with my wife, is whether I made a mistake or she made a mistake, it was always my fault. That’s not reverse sexism at work, it’s the truth. It was my job to “give good frame” while dancing. In other words, if my wife made a misstep, it was because I didn’t give her strong guidance so that we could succeed together. The same is true in business. In a complex sale or project, customers need to feel confident that you know how to help them succeed. It’s not your job to just lay out dozens of possible options, but rather to show them the path to success. Always be super clear on the WIIFM for your customers. That is, be very, very clear on “What’s In It For Me?” Other than your parents and the closest of friends, you’ll always have to spell out the personal gain for people in order to convince them the take the action you’re asking of them. Whether it’s an email signup, a social media follow, or a purchase, spotlight a clear benefit to taking action. Maybe the WIIFM for an email opt-in is expert tips on video marketing. Perhaps the WIIFM is access to exclusive discounts or promotions only available to Facebook fans. Or maybe, the WIIFM is simply entertainment, motivation or support. Provide value to customers and make that value insanely clear up front; clarity like that will never go out of style. Make it easy to swallow. While your long-form content is critical to your success, don’t overlook the microcontent that grabs your readers’ attention and compels them to follow your links back to the in-depth articles revealing your expertise and how you serve. The opposite of long-form content like blog posts, white papers and reports, microcontent is the status updates, text images, Vine videos, Instagram photos, infographics, cartoons, e-cards, GIFs, and slide decks that act as shorthand for your content and grab attention. Microcontent acts as effective lead generators, driving traffic back to your site (when done with a strategic plan in mind). Microcontent is easy to create and takes less time than writing an article. Think about your own behavior as you consume information on the Web. How often do you share links to articles you read? Tweet blog posts you like? Post pictures from an industry conference or event? You’re already creating microcontent; the next step is being strategic about what you’re creating and how you distribute it on the Web for the widest reach. Advertising on social media or any site online is a great tactic to get more exposure for your brand. But too many people aren’t testing their ads properly and just assuming that ads “don’t work” for them when they don’t get the results they want. You need to test different images, different calls to action and even different landing pages. Then you can run detailed reports to compare the results and see which ad performs the best. The results may surprise you! Find out more in this post: http://www.andreavahl.com/facebook/must-split-test-facebook-ads.php. Know the purpose behind your channels. In our work at CMI, we find so often that marketers aren’t aware of the business goals behind why they create content for particular channels. Since that’s the case, a great exercise is to list all the channels/platforms we create content for (the blog, Facebook, enewsletter, etc.) and then put a big “Why?” at the top of the page. Small business owners tend to feel overwhelmed when they’re just starting out online. My best advice for these entrepreneurs is to start small and do one thing (and own it) at a time. In other words, don’t feel like you need to start a blog and every social media account under the sun when you first get your business online. Do one thing well, then start the next web marketing task. Building your email subscriber list is extremely important. When someone signs up to your email list send them to a thank you page after they sign up. This thank you page is very important for a number of reasons. You can now set up goals in Google analytics and track your email conversions. You can even track where your subscriber originated from e.g. Facebook, Twitter etc. After someone has already committed to joining your email list it’s not difficult to get them to take another similar action. For example, after they subscribe display a Facebook like box to encourage them to also become a fan. You will get a very high conversion rate on this page. Open rates of email average 20 to 25%. Reach of Facebook Fans averages around to 10 to 15%.. But if you combine them both you get the best reach. Want actionable tips to help grow your business? Have you got a marketing tip that never goes out of style? We’d love to have you share it in the comments below. Very useful tips by people I highly admire because they do what they say and get amazing results! Awesome list, Rich! Great collection of helpful tips Rich… thanks for allowing me to add mine. I’m loving the ones I’ve read here so far! Great summary Rich! Thanks for including me. Everything you ever need to know about marketing in one blog post! Great list Rich and thanks so much for including me! It’s amazing what can happen when great minds come together! Thanks so much for your contribution, Andrea! I’ll pass it along…thanks, Joel! Thanks Rich, some great tips! Great article Rich – honored to be included, and all great advice that, as Marcus would say, will be relevant 50 dang years from now! We’ll get you next time! Nice quotes from some of the industries best! Posted December 3, 2014 by Katrina Crowell & filed under Blogging, Email Marketing & List Building, flyte new media, Mobile Marketing, SEO, Small Business, Web Design & Development.